We believe that by lifting one another through positive messages and encouragement, we help to grow a community of empowered women and girls, who are not afraid to use their voices, and take initiative in their own lives, communities, and careers. 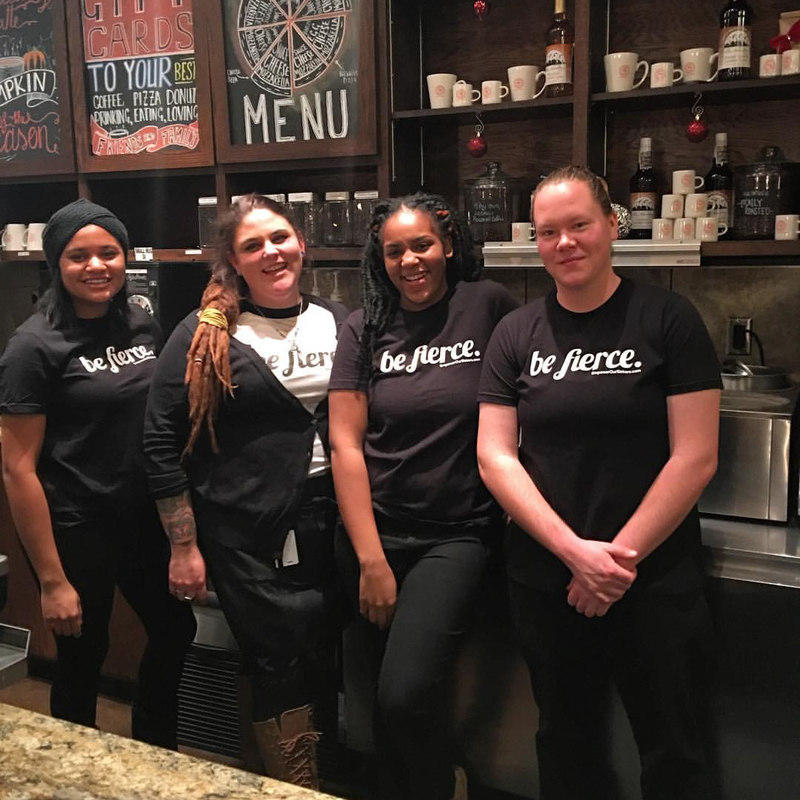 A simple, 2-word, powerful statement, “be fierce.” helps define Empower Our Sisters. We encourage women and girls of all ages to be confident and to stand up for themselves and what they believe in. We do this by sharing inspiring messages and quotes, stories from real women, and information about women’s resources, organizations, and events that align with our goal to empower. We have a private Facebook group where you can seek and offer support to others, and we also participate in promoting, sponsoring, even speaking at events that celebrate and empower women. When we surround ourselves with positivity and inspiring mantras and quotes, we start to feel good about ourselves, we improve our self-worth and we begin to believe those words. Sharing quotes and positive words with each other encourages and empowers us. We don’t know what we don’t know. So when we share our stories, whether struggles, achievements, or experiences, we not only inspire others, but we educate them. We share stories on our Instagram & Facebook pages to remind you that you are not alone and that there are others who have been through similar challenges. 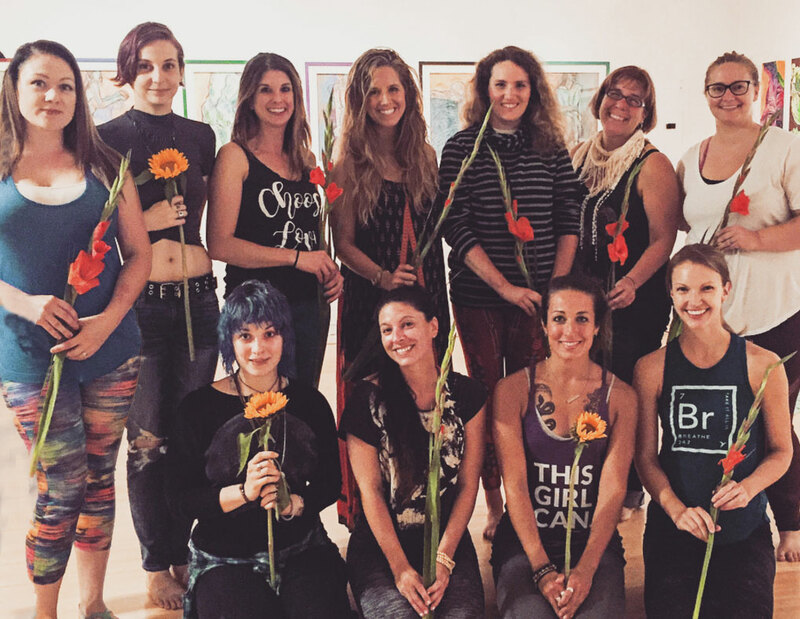 When Empower Our Sisters launched, a powerful support system arose giving voice to our mission. Empower Our Sisters Sisterhood is our private Facebook group which is a safe space for women to share their stories and be heard. It is a place to seek and offer support, encouragement and empowerment. When we first started, we sold products featuring empowering messages and donated a portion of profits to various women’s causes. Currently we’re looking to work with someone who can print our products locally and possibly even stock and send them for us. We’re also looking to feature them in local stores and boutiques. In the meantime, we have a limited number of awesome swag items we’ll be putting on our website soon. Stay tuned as our shopping cart is currently under construction. Please get in touch with us if you have any ideas for helping with products! 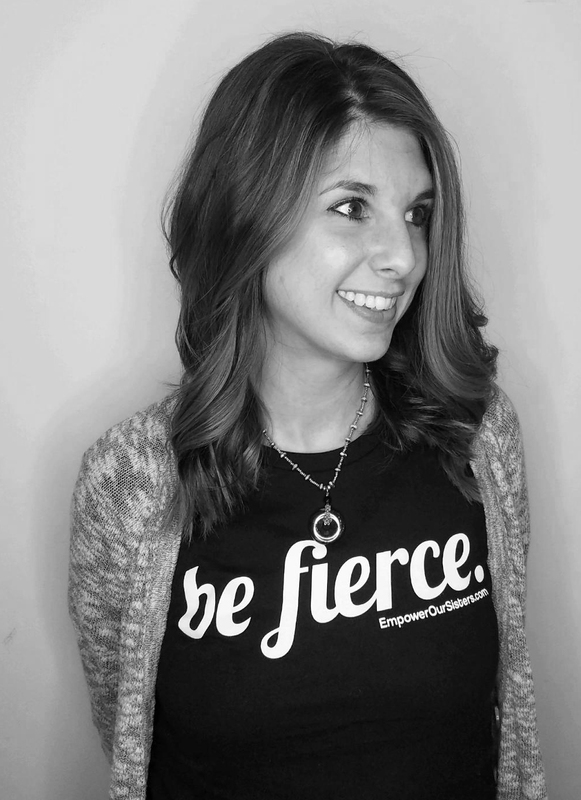 Founder Rebecca Fien shares the story behind Empower Our Sisters. You can read the full uncut version here. For over 30 years, I let fear silence my already shaky voice. Until one day, something clicked, and the fierceness I had always envied in others began emerging in me. I found myself making a decision to “be fierce.” — with a period — because I wasn’t giving myself a choice. I chose a mantra, “she believed she could, so she did” and I truly believed it. I started Empower Our Sisters in 2016 to give women and girls a place to be empowered and supported no matter what they were going through, positive or negative. As women, many of us tend to be more sensitive and in-tune to our emotions than others. I have never met a woman who hasn’t struggled through something in her life, in some way. By offering a space where women and girls at all emotional and life stages can come together, it creates an environment of support and encouragement. Sign up for our monthly newsletter, filled with inspiration and love. We promise not to spam you. Currently, social media is the primary channel through which we deliver our message. Follow us on Facebook and Instagram to stay updated on all things EOS.